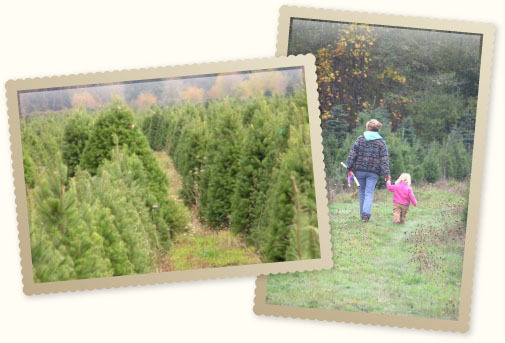 The first trees were planted in 1979 at the Perkins Road location. Papa & Grandma Simpson found the property for us in 1978, and Grandpa & Grandma Stapleton were partners in the beginning years. We initially grew trees for wholesale customers only. But in 1992 our kids Nathan, Stacy and Chantal started the U-cut business. They would open the lot on non-school days and week-ends. They established a clientele that still make Carroll’s Country Christmas Trees their tradition. The kids are grown and have their own careers, but make every effort to help each season. Our grand-kids are now part of the family Christmas tree tradition, and bring new vitality and joy to our season and our customers!